After being closed for some weeks, Newtown Library opened again today to a waiting group of enthusiastic library users. The library has had the old (leaky) skylights replaced, new heating and ventilation installed, new paint, and the collection has been refreshed with a whole section of new books. 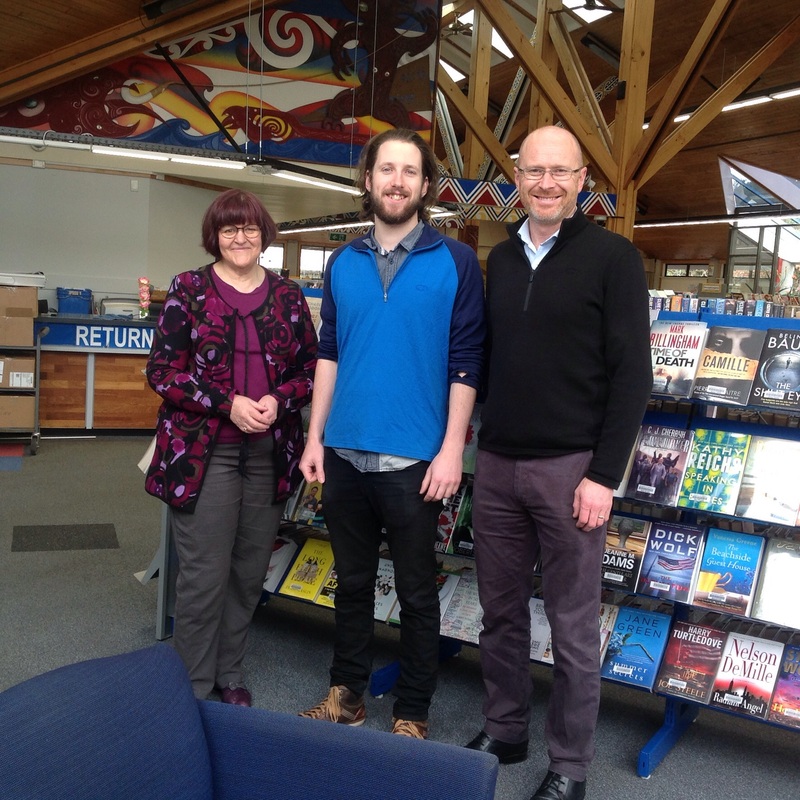 The photo below shows some of our lovely Newtown Library staff in front of a stand of new books. As Libraries and Community Facilities portfolio leader, I’m proud of our Wellington Libraries. We have 12 libraries in our network, including the Central Library.Physical visits to libraries are holding steady at around 2.3 million annually, and online visits have surpassed all expectations at 3.6 million. We issue 3 million items annually. Since I have been on Council, four libraries have had upgrades; Mervyn Kemp Tawa Library, Brooklyn Library, Karori Library and now Newtown Library. The two big projects coming up in the future are of course, the new Johnsonville Library, and a refurbishment of the Central Library, which will include modern features such as RFID (radio frequency identification), which will allow better tracking of library resources, and faster issuing. We are making sensible investments in the collections, the libraries are great spaces to be in, we are adding to our online resources all the time including our great Facebook page, Wellington City Libraries, and resident surveys report a high level of satisfaction with the service offered. However, I’m always interested in feedback, so let me know what you think!